Hi, I’m Jill and I’ve helped leaders: business Owners, Coaches, Executives and their teams, achieve their goals, quicker and easier than they thought possible. Some of my coaching clients say that I’ve extracted a bigger goal from them than they actually had in mind. I’ve challenged and stretched them to get out of their comfort zone. It’s about playing a bigger game, the one you were designed for – both at work and at play. I don’t do ‘business as usual’ – and as you can see from the bright colours on my site, I don’t ‘fit in’ and won’t expect you to either. My approach is unique and challenging, but always challenging you to be more of who you were born to be. Thought strategic conversations and daring to ask the tough questions, we get to the heart of each issue. I’ve realised that coaching is my purpose. I was born to inspire, provoke you to think differently and to see things from a new perspective. Change is our only constant. By taking time out to have the strategic conversations about where you are now and where you want to be, where you want to take your business or organisation – you ensure you can maximise the years ahead. My gift is to help you to find yours. Jill Hutchison is an inspirational speaker and author of The Attitude of Gratitude Journal. Internationally renowned, she spoke at the prestigious Vibrant Gujarat Summit 2015 in India. That conference, subtitled The Global Business Hub, was attended by more than 25,000 people. Now Perth-based, Jill was born and raised on a dairy farm in South Africa. She has worked with banks and brokers; in offshore property investing, and now specializes in keynote motivational speaking, coaching and professional development. Gender Diversity and Why it’s an inside job. Product Funnels designed for your unique business. 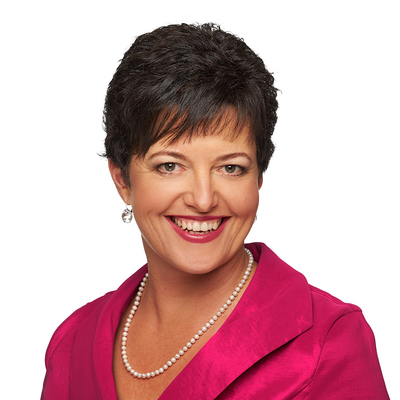 Jill moved to Western Australia in 2007 and founded coaching business Evolve Dynamic in 2008. Since then she has worked with hundreds of clients all over the world. In 2013, she published her first book – The Attitude of Gratitude Journal: The Answer to everything! This was inspired after discovering the power of ‘gratitude’ as a simple daily ritual and it’s importance in leadership and the workplace. Jill has a Bachelor in Economics from University of Cape Town. She has also studied with, and worked alongside, some of the world’s best coaches including Bob Proctor and Loral Langemeier, two of the stars of documentary film, The Secret. Jill has facilitated at Bob Proctor’s Matrixx Event in Toronto and hosted Perth events for Loral Langemeier. Jill and husband Ross live in Duncraig with their three children – Dylan (19), Kelsey (16) and Sylvia (15).